This complex offers complete relaxation, plus an abundance of opportunities for experiencing an action packed vacation! Jubilee Landing has a swimming pool perfect for both adults and children, offering plenty of room to socialize and relax while working on your tan! This complex also provides a BBQ area just off the swimming pool area where you can grill up the day's fresh catch or your favorite cut of meat while watching the sun set below the Gulf of Mexico. The pier also offers a fish cleaning table, plenty of room for pier fishing, and a 2nd floor patio to enjoy the river views. 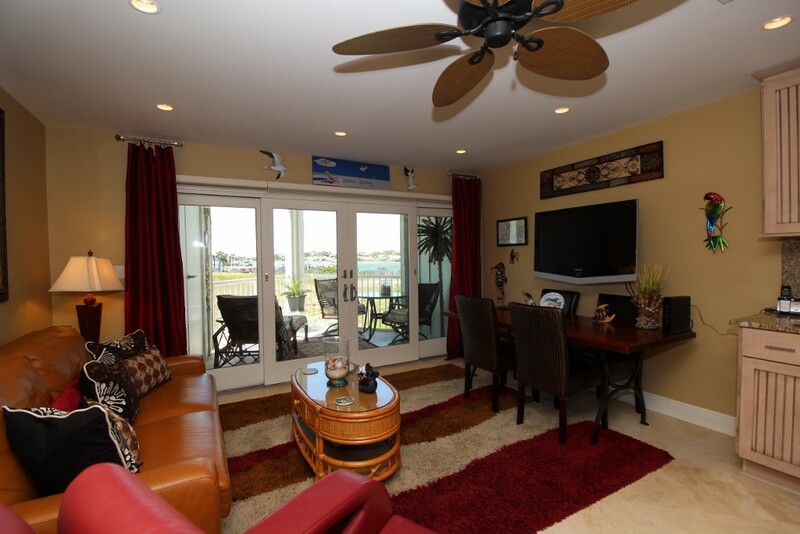 Jubilee Landing condominiums are located approximately 1.5 miles East of Perdido Pass. This area of Orange Beach is a very narrow strip of land allowing for great views of the Gulf of Mexico and Old River, as well as Terry Cove and Robinson Island. Get away from it all and retreat to Jubilee Landing in beautiful Orange Beach, Alabama... and experience the vacation of your dreams!